PUNE: Kayani & Co, one of the oldest Irani bakeries in the city has been asked to shut down after the PCB's verbal instructions. Located at East Street and famous for its Shrewsbury biscuits and sponge cakes that travelled across the globe, this eatery was established in 1955 by Hormuz and Khodayar Irani. It is alleged that the bakery has been running illegally without trade licenses since 2006. Hence, the PCB has finally ordered the owner to pull its shutter down. 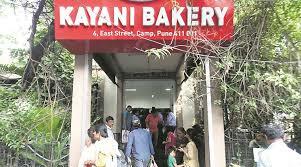 With Kayani's, two other bakeries- Kwality and Bagban have received orders to shut down their business for violating lease agreements.The owners of Kayani have refused to comment on this but Bagban's owner Afzal Bagwan told pune-news.com, "We have closed our business following the oral orders of the PCB president.The property owner, who is in Dubai, has been applying for a trade license every year but has been denied one. 80% constructions in the Pune cantonment are illegal, but the board has decided to target only three." Residents seem to be sad after receiving this news. The freshness of the exclusive biscuits and cakes would stay intact, we believe.